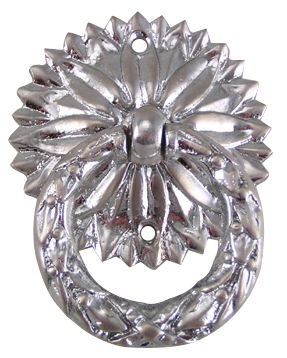 2 Inch Solid Brass Radiant Leaves Drop Ring Rull - base measures 2 inches in diameter and ring pull measures 1 5/8 inches in diameter. Projection of 3/4 inches. Comes complete with mounting hardware.